Surprisingly, he Short North hasn’t always been an Art’s District full of sharp culture, beautiful galleries, and staple restaurants. It was one time a deserted ghost street with boarded-up buildings and little-to-none activity, with only a handful of small businesses. Could you imagine such a time?! Police named the area “The Short North” as it was north of downtown, yet short of Ohio State Campus. So, How Did he Short North Come About? German Village experienced a successful renewal project in the 1960s, which gave developers flourishing ideas for the Short North Arts District. When renovation began, many businesses owners were attracted as the constructed buildings expressed charm and attention. It wasn’t until 1980 where hard work started to pay off, where the community had then built the atmosphere of artistic culture and local businesses. The next goal was to create a thriving residential area to start bringing people to live among the project. Gallery owners then began opening their galleries at the first Saturday of every month, where they would present new exhibits to the public to browse and mingle. They experienced immediate success and inspired more local businesses to open within the area, consisting of small boutiques and restaurants. Check out this video showing photographs from High Street in the 70’s, almost looking unrecognizable! 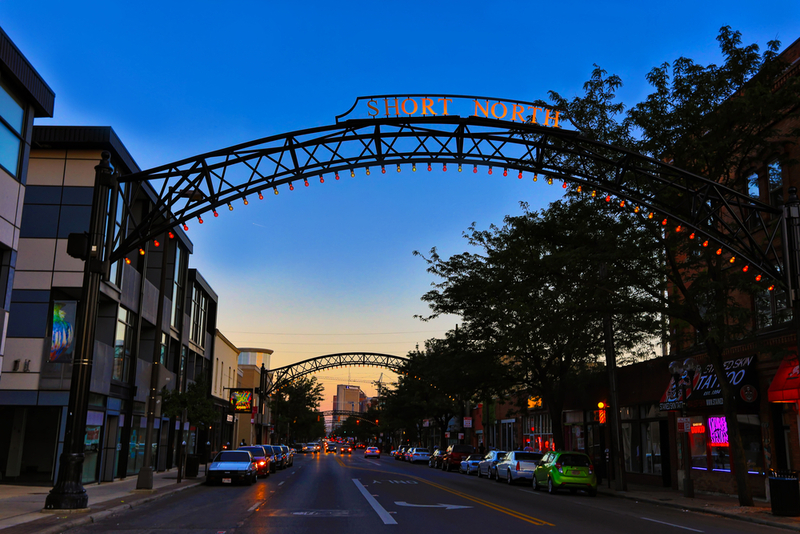 The Short North is now home to over 300 growing businesses, and Arch City Tavern is honored to be one of them! Over the years we have watched High Street. continue to develop and we are proud to be a part of this community. Have you made a reservation for Arch City Tavern yet? Come enjoy gourmet food in a warm pub atmosphere, while sitting in an are full of rich history! No Replies to "The Short North History"